Trust is more than closing your eyes, stiffening your body and slowly falling backwards into a fabric of interwoven arms. Trust often comes from a process of slow cultivation, carefully built through the development of a meaningful relationship. It’s much easier to build a sense of trust when we get to know someone well. We learn they’re true to their word and grounded in principles we find admirable. It often takes us multiple interactions and prolonged discussion to realize we can truly trust another person. Unfortunately, when it comes to your website visitors, an abundance of time and multiple interactions are luxuries you can’t bank on. But there are many ways you can use your nonprofit’s website to build trust with your visitors. And as it turns out, building trust is crucial to your nonprofit ultimately achieving website success. Trust is a necessary precondition to inspire website visitors to take action on your behalf. If a visitor can’t trust your organization, the chances of them sending in a donation, signing up to volunteer, or even filling out your contact form drop substantially. In another study on high-income donors, 51% of respondents said they either somewhat or strongly agreed their fear that “the charity will sell, rent or exchange” their email is a reason not to give online. Such fears come from a lack of trust. Another study on donor motivations found that both individual donors and financial advisors listed “financials” as the most important piece of information when deciding whether or not to make a donation. For both groups, info on the “effectiveness” of an organization was listed as second most important. Both types of information, if easy to find and effectively presented, can help engender a sense of trust. Such findings aren’t shocking. It stands to reason that trust is important when it comes to any nonprofit’s website. Your nonprofit’s website can be a tool that helps you cultivate a trusting relationship with your visitors, ultimately increasing the likelihood they’ll support your cause in some way. The following are meant to be options, not simply a checklist. Mix and match them to fit your specific situation and appeal to your audience. Make financial data easy to find. As mentioned above, many visitors will want to see your financials before giving you money. Make this information easy for them to find. If they have to hunt for it, chances are they’ll leave without getting involved. Make reaching out easy. Make it simple for a website visitor to get in touch with someone if they’re interested in lending support. Provide staff member names and targeted phone numbers whenever you can. Make sure you give visitors multiple ways to reach out so they can choose the method that makes them most comfortable. Give specifics. Give specific details whenever you possibly can. If you’re appealing to donors, tell them in detail how their donations will be used and what different amounts will enable. If talking to volunteers, tell them the activities they can expect and the impact they’ll have on the community. If someone is signing up for your newsletter, tell them how often you’ll reach out and how their personal information will be used. Stay true to your word. After you’ve given specifics, you have to stay true to your word. You have to give a donor’s money to the cause you said you would. If a volunteer shows up expecting to play with children, they shouldn’t end up sorting clothing. Staying true to your word and meeting your supporters’ expectations will help cultivate long-term trusting relationships and promote recurring support. Give concrete examples of past success. Demonstrating past successes in a compelling way is one of the best ways to show you know what you’re doing as an organization. By clearly showing the impact you’ve made in the past, it’s far easier to convince a visitor to trust you’ll be able to repeat such success in the future. Send progress reports regularly. Few people will get tired of hearing about the change they’re making in the world. I’m not suggesting you spam your supporters with self-promotional marketing. But if they’ve signed up to receive email updates from you, send them regular progress reports about the ways in which their support is making a difference in the community. Include thoughts from past supporters. Lean on your past supporters to appeal to website visitors. Ask a few donors to write a blog post or excerpt for your donation page about why they decided to give to your cause. Ask some volunteers to write up an account of their most moving experience giving time to support your community. Anyone can say they’re good at anything. Leverage your past supporters to provide some proof and help convince website visitors to get involved. Include thoughts from the community you serve. Ask a few members of your community to tell their stories directly on your website. Include not only their current situation, but also how your nonprofit is making a difference. Doing so effectively will emotionally appeal to visitors and help develop a sense of trust in your knowledge of the community you serve as well as your capacity to effect change. Include endorsements from experts. Whenever possible, include endorsements from well-known experts in your field. A few testimonials, especially when used at key moments in a website visitor’s decision-making process, can help convince them to lend support to your organization. While developing a trusting relationship with a stranger through your website can be tough, successfully doing so will have major benefits to your nonprofit. By drawing on the suggestions above and developing your own strategies, you can start the cultivation of such relationships and ultimately turn more website visitors into active partners in your work to make the world a bit better. 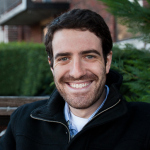 David Hartstein is a partner at Wired Impact, a web design company that focuses on nonprofit website design. He spends most of his time helping nonprofits tell their story in a more compelling way and using data to measure the impact their website is having on their organization. You can catch up with him on Twitter at @davharts.